We all love good quality dupes of high-end brands, don’t we? With them we can get an idea of how that particular cosmetic might look on us, but without that heavy price tag. Dupes are different from fakes. While fake cosmetics (Read a fake MAC eyeshadow review HERE) copy everything, even the brand name and contains potentially dangerous ingredients at times, dupes mainly copy only the product shade or type and packages it under their own brand name. 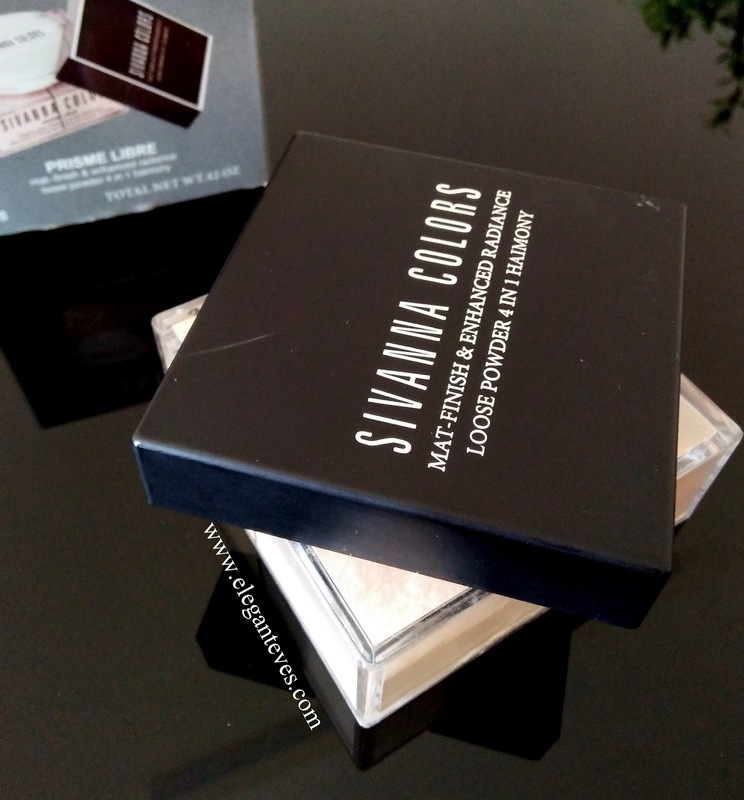 But what when you find a dupe which has copied the name, shades, packaging from a higher-end brand, but has maintained its brand name? 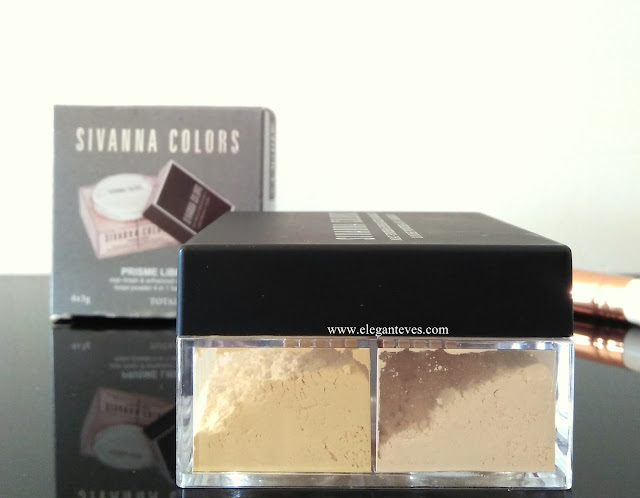 Yes, Sivanna Colors has come up with an exact dupe of Givenchy Prisme Libre Mat Finish and Enhanced Radiance Loose powder. Let’s see how it fared on me. Product claim: Please refer pic below. Contrary to claims, it is not a concealing powder at all. 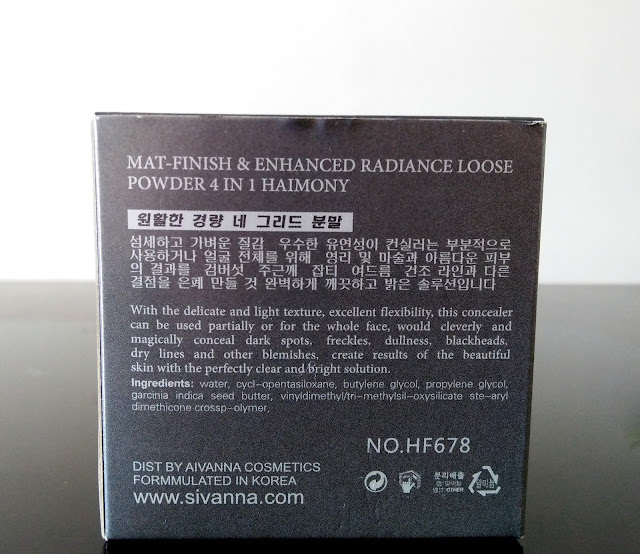 It is a loose setting powder. Shades Available: 01, 02, 03. I picked up shade 03 since it looked darkest and more yellow-toned. Powders have a tendency of lightening up when applied compared to how they look in the tub, thus this decision. There are three matte powders and one pearly powder in this set. 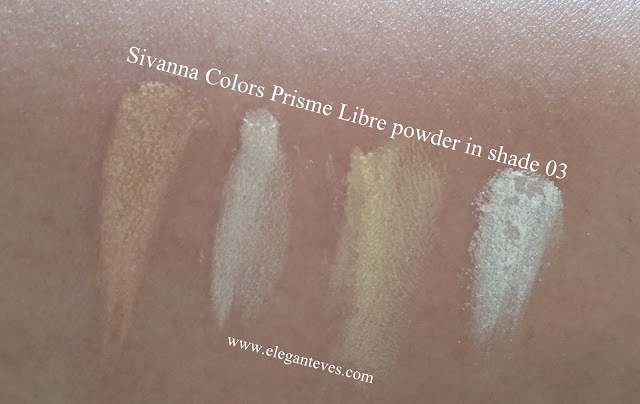 There is a skin-toned matte brown, a warm matte ivory (off-white with yellow tones), a matte yellow powder and a white highlighting shade with very micro shimmers. 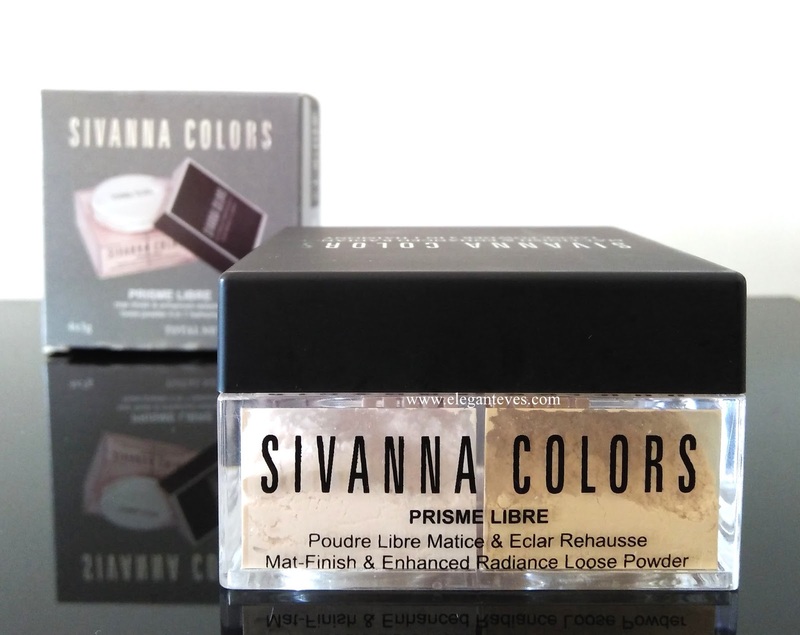 The powders are extremely finely milled and are not chalky at all. 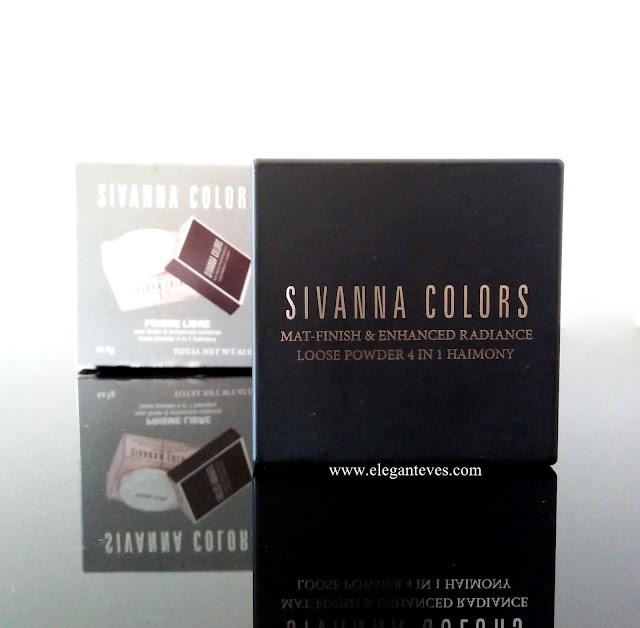 The yellow ones do not go white after blending and does not make any obvious layer on the skin. Packaging: This is the most interesting AND confusing part of the product. The product comes in a square clear plastic box which has four compartments housing each powder. 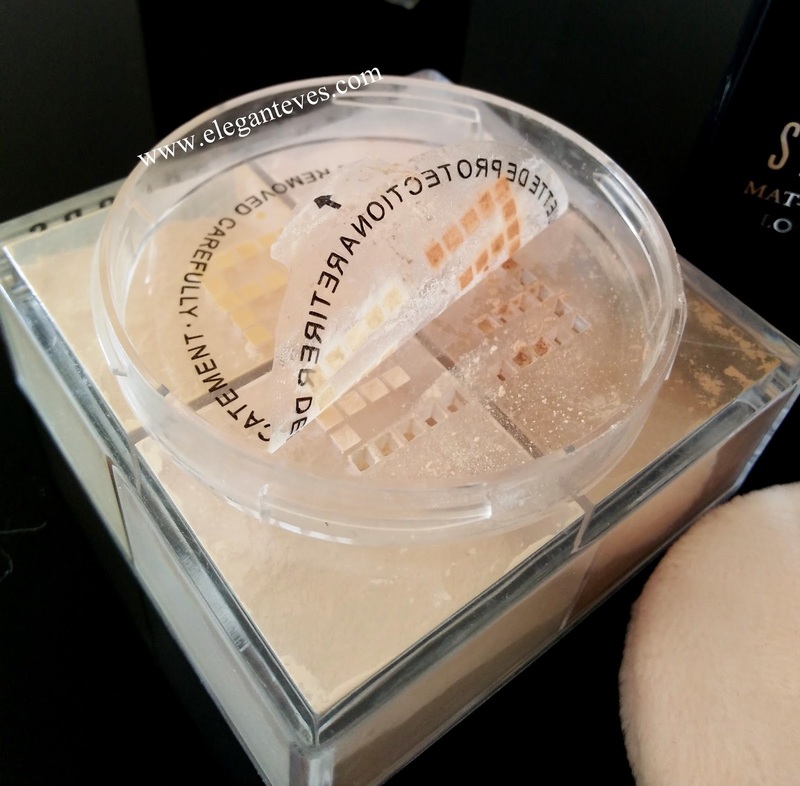 If you read up review of the Givenchy powder, you will see how strikingly same they are! The lid is black plastic and I was not able to open it at all! I had to contact the seller who showed how it is opened. You just need to rotate the lid clockwise towards you. Check picture below. Once opened, you will find a fluffy sponge inside. The sponge is insanely soft and is of good quality. Then you will discover a sticker covering the “F” shaped dispensing holes of each powder. 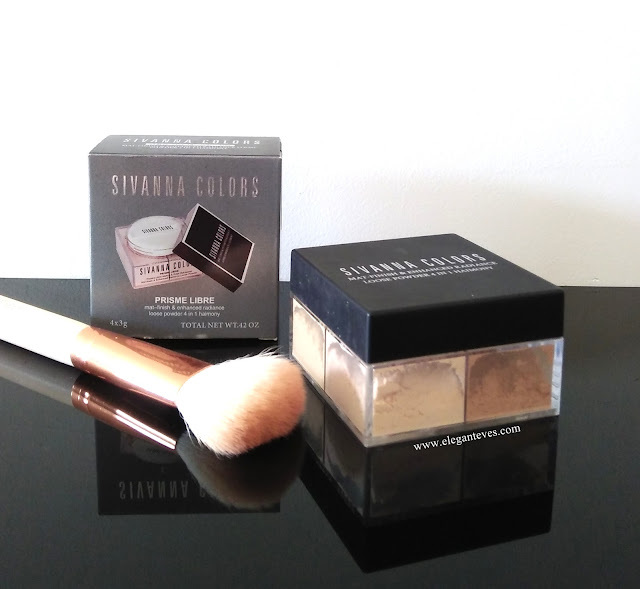 Now being inexperienced, I first tried lifting up the sticker partially on each side and tapping out one powder at a time so that I could use with a brush. It only ended in a total mess! It was hugely inconvenient as well. Also, the sticker would lose its adhesiveness, how would you control the outflow of powders then? 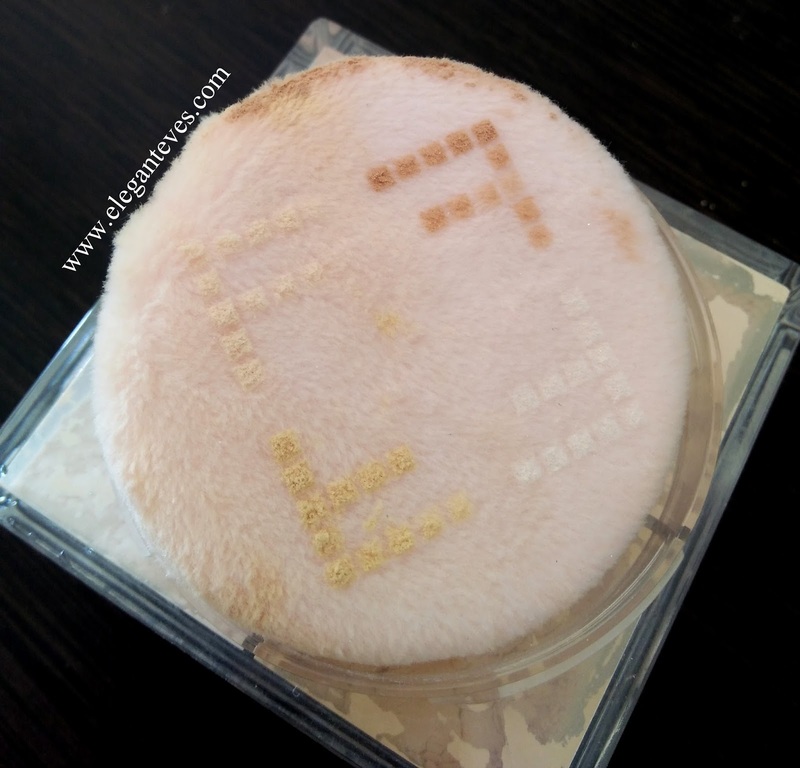 I was extremely disappointed, but then I googled review of the original Givenchy Prisme Libre powder and found out how to use the sponge. Turns out, you have to press the sponge onto the holes and turn the box upside down. 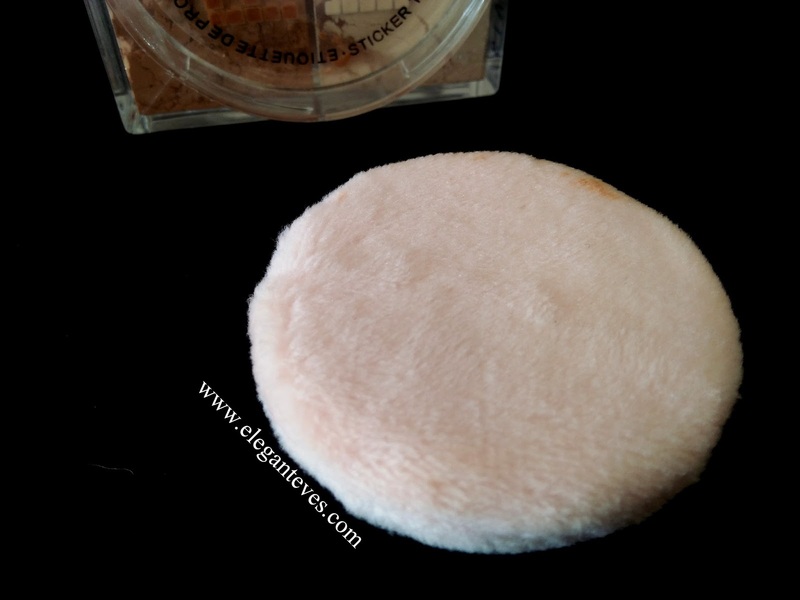 The powders will get deposited on the sponge after which you would have to press the sponge on your face to set your makeup. 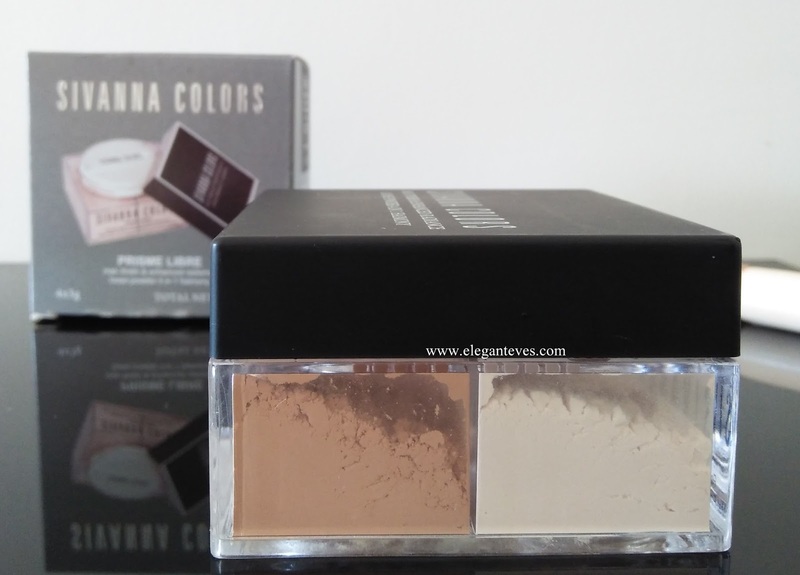 One MAJOR disadvantage of this kind of packaging is that, all four powders come out at the same time. There is no way you can use any one at one time. I would have loved to use the brown as a contour powder and the yellow powder as an under-eye setting powder. 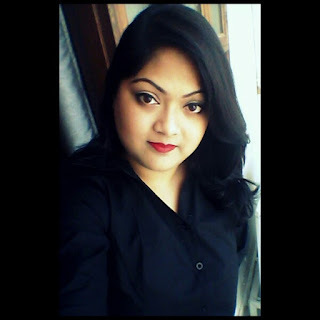 But each time all of them swirls together and the resultant powder is a yellow toned powder which carries the fine shimmers of the highlighting powder. One good thing though is that the shimmers are so fine that there is only a glow left without any conspicuous shimmer. The overall performance of the powder is very decent. It sets foundation properly and also controls T-zone oil to some extent. However, my skin is generally dry with a little oil-secretion in T-zone. So, oily skinned beauties might not find this sufficient. You may check this powder from Lotus Ecostay (read review HERE) if you are looking for coverage and oil control as well. 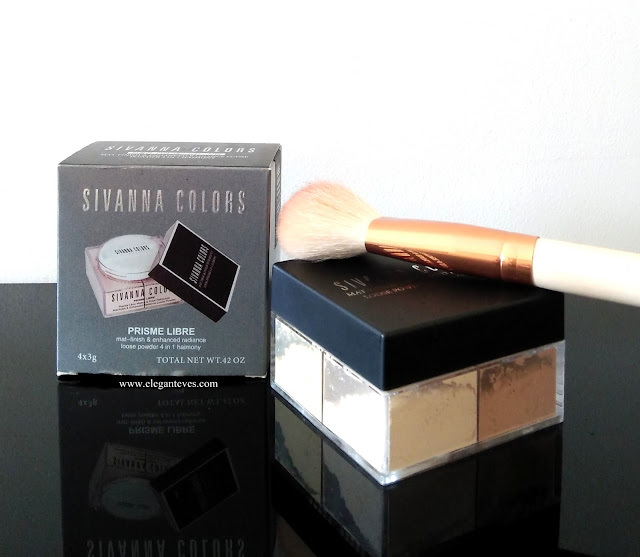 You can check out what other Sivanna products I had bought in this haul from this post HERE. All the products have been individually reviewed in detailed J Don’t forget to check. As usual a true in depth review. The packaging is brilliant. I will try it just for the packaging.